By a vote of 98-0, the Virginia House Monday passed its version of a bill, HB 1434, that would outlaw synthetic cannabinoid products. 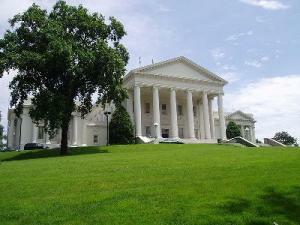 Three days earlier, the state Senate passed its version of the bill, SB 745, on a 37-0 vote. The House bill adds synthetic cannabinoids to the state's list of controlled substances, but the Senate bill does not. The House bill also has stiffer penalties for violators. That means the two bills will have to be reconciled for the ban to move to the governor's desk. Products containing synthetic cannabinoids are sold in convenience stores, corner gas stations, and head shops in states where they have not been outlawed, and are also available on the Internet. They are typically marketed as incense and are sold under a variety of names, including Spice and K2. The products are billed as a legal marijuana substitute, but hospital emergency rooms and poison control centers have reported numerous calls from people agitated or paranoid after using them. Still, the symptoms do not appear to be life-threatening, and no overdose deaths have been reported. The DEA moved in November to take emergency action to institute an emergency federal ban on synthetic cannabinoids, but so far, that action has been blocked by legal action from retailers' associations. Thirteen states have already banned synthetic cannabinoids. Similar actions are pending in a number of other state legislatures this year. Although the DEA's bid to ban synthetic cannabinoids at the federal level has been stymied, at least temporarily, bills to ban it at the state level are moving through legislatures in at least a half-dozen states and more will probably follow this year. They are already banned in a dozen other states. But retailers' representatives say that "fake pot" is a multi-billion dollar a year industry that should be regulated, not prohibited. In products going under a variety of brand names, such as Spice and K2, and sold widely in head shops, convenience stores, and gas stations, as well as via the Internet, synthetic cannabinoids are sprayed onto dried plant matter. Although the products are marketed as incense and sometimes marked "not for human consumption," they are typically smoked by purchasers in a bid to replicate a marijuana high with a legal substance. While advocates of banning the synthetic cannabinoids describe them as harmful and dangerous, there is little evidence they are addictive or especially toxic. There are no known overdose fatalities from Spice, although at least one suicide has been linked by grieving parents to recent use. Other reported adverse effects of synthetic cannabinoids include panic attacks, anxiety, agitation, rapid heartbeat, vomiting, hallucinations, tremors, and seizures. The American Association of Poison Control Centers reported last week that it had received more than 2,800 calls about Spice last year and another 217 through January 18. The calls were "causing increased concern among doctors and clinicians," the group said. "These products present a health risk that is not worth it for consumers," said Missouri Poison Center Medical Director Anthony J. Scalzo, MD, who first noticed increased calls about these products to his center last fall. "The products are meant to create a similar reaction to marijuana, but in fact, patients often report the opposite -- a fast, racing heartbeat, elevated blood pressure and nausea." But representatives of retailers say the concerns are overblown. They point to a relatively low number of reported adverse events, a lack of evidence of life-threatening side effects, and fending off Puritanism as reasons to regulate instead of prohibit synthetic cannabinoids. "My estimate is that this industry is worth $2 to $3 billion at the retail level, so we are talking about up to 100 million $30 doses," said Dan Francis of the Retail Compliance Association, the group representing retailers that forced the DEA to back away, at least for now, from its emergency ban on synthetic cannabinoids. "If we're talking about 3,000 reports to poison control centers, it would seem that the incidence of problems is extremely low." Francis also reacted to some of the hyperbolic rhetoric surrounding the danger of synthetic cannabinoids and the need for emergency action. "The typical side effects that are being reported are anxiety, agitation and nervousness," he said. "There are no reports of any side effects lasting more than a few hours." "These substances are very widely used and they've been around for awhile. They're sold in head shops across America and a large number of gas stations, and there have been a few cases where people have freaked out and gone to the hospital, but that happens with marijuana, too," said Dustin Bayer of the Small Business Alliance, a group representing entrepreneurs challenging the federal ban effort. "It's not physical problems, but more like anxiety attacks." In Arizona, HB 2167, an emergency measure adding synthetic cannabinoids to the state's list of dangerous drugs and providing the same penalties as those for marijuana, passed the passed the House Judiciary and the House Rules committee last week on unanimous votes. It now heads to the House Floor. In Indiana, SB 57, which outlaws synthetic cannabinoids and punishes them like marijuana, passed the Senate on a 47-0 vote last Friday. Two days earlier, the House Criminal Codes Committee approved its version of the bill. It now awaits a House floor vote. In Minnesota, HF 57, which make sale of fake pot a gross misdemeanor punishable by a year in jail and possession a misdemeanor punishable by 90 days in jail, passed the House Public Safety Committee Monday and has been referred to the house Judiciary Policy Committee. In Utah, HB 23, which would add synthetic cannabinoids to the state's controlled substances list, passed the House Health and Human Services Committee and is headed for the House Floor. A less restrictive bill that would ban their sale to people under age 19, HB 200, passed the House Law Enforcement and Criminal Justice Committee, but its sponsor said he would withdraw it if the more draconian bill passed. In Virginia, SB 748, which add a new category of controlled substances to include synthetic cannabinoids, was passed by the Senate Committee on Courts and Justice Tuesday. The bill would make punishments similar to those for marijuana. In West Virginia, SB 63, which would ban fake pot in the Mountaineer State, passed the Senate Health and Human Services Committee Tuesday, but only after being amended. The original version of the bill also included a ban on salvia divinorum, but that was dropped in the version approved by the committee. Indiana state Sen. Ron Alting (R-Lafayette), who sponsored the Indiana ban bill, provided a typical rationale in an interview with the South Bend Tribune. "This is something that is just a real, real bad substance," he said, adding that "the hallucinations produced by synthetic cannabinoids are 10 times stronger than those from marijuana." Alting said doctors and police had told him of people falling into comas, being temporarily paralyzed, or trying to kill themselves after using fake pot. And he said teenagers in his home district convinced him of the need for a ban when he asked them why anyone would smoke synthetic cannabindoids. "They looked at me and said, 'Because it's legal,'" he said. "Let's put an end to that comeback from young people and anyone else using this." "Why do they want to make criminals out of store clerks?" asked an exasperated Francis. "It's an insane endeavor to enforce felony-quality laws on people who are just struggling to get by. Why don't they consider regulation instead? There's a myriad of those chemicals out there -- we could have good manufacturing regulations, batch and lot numbers, restricting it to people over 21. Those are the kinds of things we're working on right now." "I would ask those legislators what danger does this pose?" said Bayer. "There is no shown danger. The people who want to ban it want to ban it for moral reasons, the same way they want to ban marijuana. It's not a scientific issue or an issue of danger, it's really more of a moral issue." Contrary to previous reports that a DEA emergency ban on synthetic cannabinoids had gone into effect on December 24, that emergency ban has been delayed. The DEA published a notice in the federal register dated January 7 that its November 24 notice of intent to institute an emergency ban had to be revised due to "administrative errors." Sold under a variety of names, including Spice and K2, the synthetic cannabinoid products have been criminalized in about a dozen states, with more states on track to join the list. DEA spokesperson Barbara Carreno confirmed to the Chronicle January 13 that the ban was not yet in effect. "We're still writing the regulations," she said, explaining that, "While we must give the public 30 days notice, that doesn't mean it automatically becomes illegal. We're working diligently on it and hoping to get it done quickly." The delay was forced by legal challenges from the Retail Compliance Association, a newly-formed retailers' organization created to block the DEA ban. "They need to stop hurting the small businesses that sell these products, and at least have a grip on the basics of the laws that govern their actions" said Dan Francis, the group's executive director, in a press release. "These rule do apply to them, they can't just declare that they don't and have it that way, we are a country of laws, passed by congress, not dictated by the DEA." The reflexive response of state legislators to respond to new, uncontrolled substances by banning them continues unabated this year as bills to proscribe synthetic marijuana have been filed in Nebraska and Indiana. 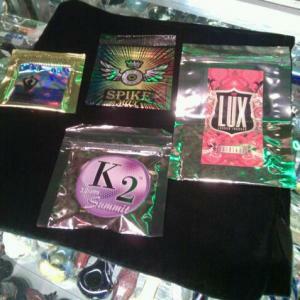 Another synthetic pot ban bill is pending in Connecticut, and Washington state bureaucrats acted at year's end to ban the substances there. 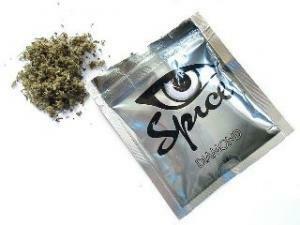 Sold under names like K2 and Spice, the products contain synthetic cannabinoids that produce psychoactive effects roughly similar to marijuana. While about a dozen states and numerous municipalities moved against synthetic cannabinoids last year, the substances remained unregulated at the federal level until the DEA imposed an emergency ban that took effect on Christmas Eve. But the federal ban has not deterred state legislators from acting since then. In Nebraska, Sen. Beau McCoy has introduced LB 19, which would prohibit the possession or sale of synthetic cannabinoids. That bill has been referred to the Judiciary Committee, where a hearing has been set for January 19. In Indiana, state Sen. Joe Zakas (R-Granger) introduced SB 152, which bans synthetic cannabinoids and punishes use or distribution with the same penalties in place for marijuana. That legislation passed the Senate Corrections Committee unanimously on Tuesday. In Connecticut, no bill has been formally introduced yet, but several legislators, parents, and members of the anti-drug abuse group Connecticut Prevention Network met Monday to call for legislation there. Rep. Patricia Wilditz (D-Guilford) said the substances are becoming increasingly popular among young people and that the public needed to be warned of their dangers. 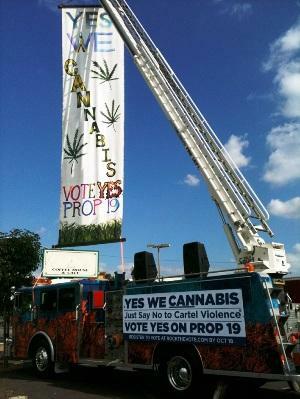 In Washington state, meanwhile, the compounds were banned by action of the State Board of Pharmacy on December 30. The ban there came three weeks after a Seattle man struck three pedestrians with his vehicle and later claimed to have been under their influence. "The chemicals are very potent synthetic cannabinoids and can cause harm when used, generally by smoking," the Board of Pharmacy said. "These are effects that can affect behavior, judgments and health." Reported adverse effects of synthetic cannabinoids include panic attacks, anxiety, agitation, rapid heartbeat, vomiting, hallucinations, tremors, and seizures. No fatal overdoses have been reported. Spice was destined to become a phenomenon. For decades, magazines like High Times have advertised famously fake pot products that apparently sold well enough to support a robust marketing campaign, despite being completely useless. Anyone could have predicted that a legal marijuana substitute capable of producing the familiar buzz of pot itself would be massively successful. That's exactly what happened, and regardless of the pending federal ban announced this month by the DEA, there's good reason to believe this drug is here stay. At first glance, you might think prohibition could prove uncharacteristically effective against a drug whose primary selling point is its legality. Once you take away the convenient retail sales and freedom from arrest, synthetic marijuana begins to lose its competitive advantage over the real thing. As prices rise and purity begins to fluctuate, many users may revert back to the established illicit marijuana market, rather than making the effort to hunt down a formerly over-the-counter product that no longer comes with any form of quality assurance. Good pot, with its distinctive look and smell, is a lot harder to counterfeit than a bag of random leafy crap laced with chemicals, and the inevitable proliferation of weak or fake products on the black market could badly damage the drug's appeal. Nevertheless, K2/Spice possesses one unique characteristic that ensures its survival: it will remain an effective option for getting high and still passing a drug test. Drug screening products allegedly capable of identifying the unique compounds contained in K2/Spice are beginning to enter the market, but an industry-wide overhaul incorporating new technology will be far too costly to implement in an organized or efficient manner. The situation is potentially profitable for the scumbags in the drug testing industry, but it's a big headache for agencies and employers who've already spent thousands only to find that they're no longer covering all the bases. Due to the high affinity of these compounds to the cannabinoid receptors, their effective dose is lower than that of the marijuana products resulting in a low concentration of the excreted metabolites accompanied by a higher psychoactive potency. The small size of an active dose makes it far more difficult to identify than marijuana, and that's a significant advantage. The drug testing industry has long thrived on marijuana's uniquely prolonged presence in the body, which makes even casual users vulnerable to detection. K2/Spice is only detectable for 1-3 days after use depending on the amount consumed, compared to up to a month for marijuana. Given that testing is currently almost non-existent and will barely work even if widely implemented, the drug has already achieved notoriety as an enjoyable and drug-test-proof alternative to marijuana. This feature alone is enough to ensure continued demand and a profitable market for those willing to make it available. Once the ban takes effect, police will be confronted with a potent, odorless, and easily concealed substance that's suddenly commanding high prices in the pot market. As distribution is pushed underground, new and more dangerous forms will emerge and the familiar horrors of prohibition will be exhibited before our eyes yet again, as another drug that was never meant to exist establishes a permanent foothold in the illicit market. Whatever unpleasantness arises from all of this will owe its origins entirely to the mindless war on marijuana, and it's truly the height of irony that K2/Spice will soon be subjected to the same failed prohibition policy that made it popular in the first place.